I never really thought I’d have one, I’m not the kind who plans everything. 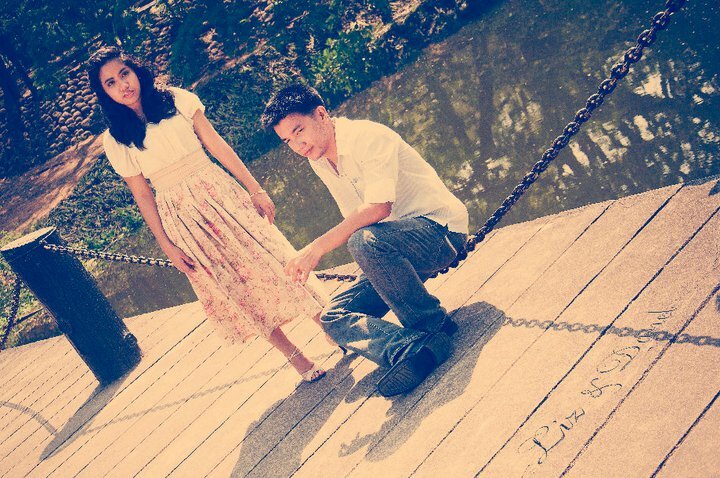 But somehow this photo shoot turned out to be one of the most memorable experiences we have as a couple. This happened sometime in April 2011. It all started when a friend of Danel told him I’d never use a picture of us together as my profile picture in Facebook. I told him that wasn’t true at all. And then I mentioned I wanted to have an artistically taken photo of us two. I shared all of that with a good friend at the office who happened to be a model with lots of contacts, Mary, And then we had a short talk with another good friend at the office who wanted to practice his photography, Aaron. After Mary found a location and a few clothes from her friend’s online botique, she contacted another professional photographer and a make up artist, She really took care of all the details. It wouldn’t have been close to reality without her. She said I could consider that a birthday gift. It was one of the best gifts I had, really. And finally, some of the photos! pardon the varying quality. Notice how they are very different and very similar. We were a bit (or a lot?) awkward in posing, so it’s an unspeakable miracle how wonderful these tuned out! Enjoy! Ito ang nagagawa ng first wedding anniversary. You suddenly become a guru…not. Find someone imperfect with a desire to be perfected. My husband is not perfect. Let me start with that. Well, I know no one who would claim otherwise when they speak of theirs. I married him with flaws and he married me with flaws (with more, I believe) and we recognized those and decided to work on them together. A year later, he still plays DOTA every now and then and I still raise my voice every now and then. But we are each other’s constant reminder, because we know we are not perfect and we need to be reminded. Find someone with a heart of a child. I know, I know this is hard, and cheesy. But this is true and vital. With marriage there is a tendency to just get tired of things and of routines especially when the going gets tough. But when your husband is a child at heart, surprises will never run out, fun will never stop, and laughter will never be missed. 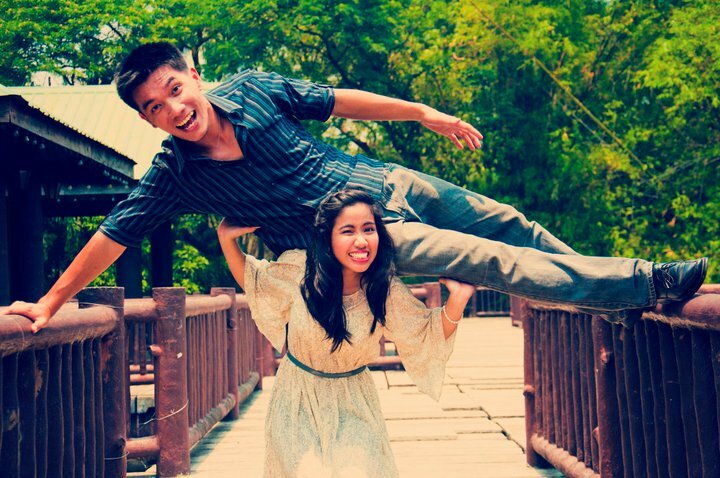 It’s refreshing to live with someone who can turn an awful day upside down just by his antics (Ex. a really loud and looong fart. Hah!) . And lets face it, in this life of demanding work and exhausting troubles, we all need play, and who knows play better than a child’s heart? Find someone who loves you, and I really mean Head-over-heels/You are my world/I can’t live without you kind of love. News flash: This kind of love exists and it’s as real as the pain in your in grown nails. Love songs that tirelessly talk about such kind of devotion are not there for nothing. When you find and marry someone who actually makes all the love songs finally make sense to you, then half of your quest is made light. 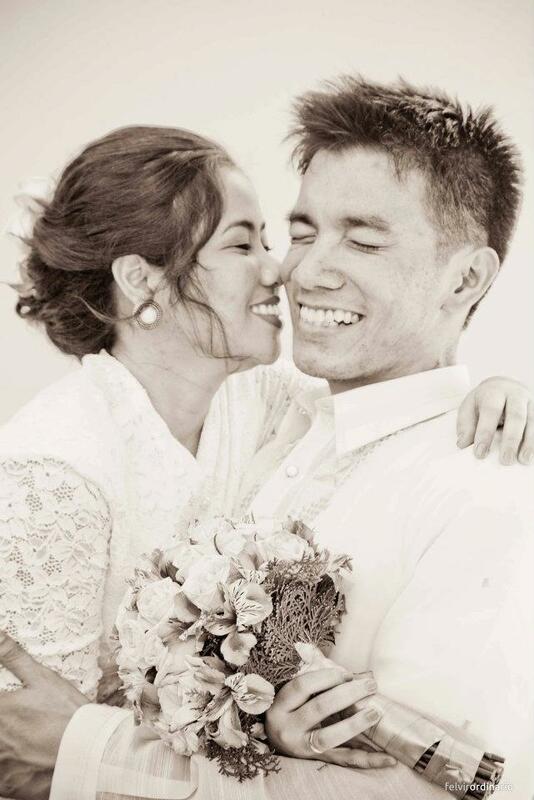 To me, everything can be a lie but my husband’s unconditional love for me will always be my basic truth. And because he loves me the way he does, doubts and fears take the sidewalk and faith and happiness run the main road of my life.